There are so many new tablets to talk about this year and today a new tweet has appeared on Twitter revealing the new Huawei MediaPad 7 Vogue tablet, below you can see the rendered image and we have the specs to go with it. The press render of the Huawei MediaPad 7 Vogue is a leak at the moment so we have to take this as hearsay until Huawei decides to release its official announcement, but for now we will give you the specs details via this image that we found online. 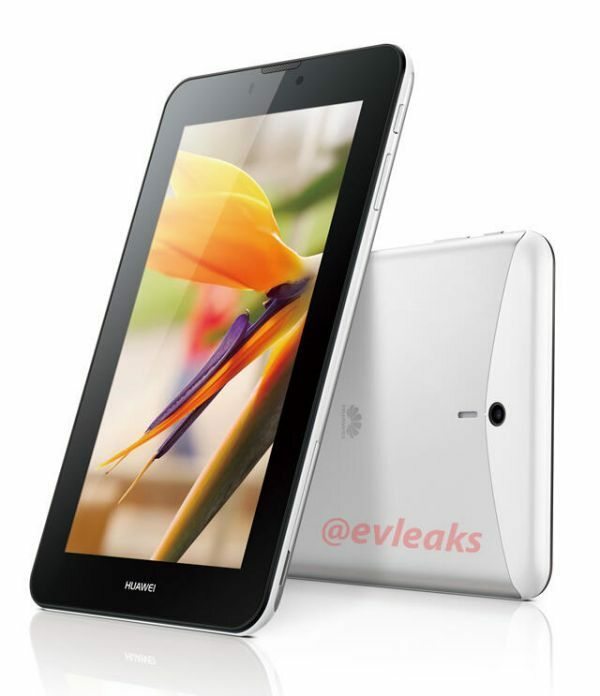 The Huawei MediaPad 7 Vogue is apparently coming in two versions, specs include a 1.5GHz quad-core Cortex A9 processor as well as a 1.2GHz quad-core Cortex A9 processor, both will come running the super Android 4.1 Jelly Bean operating system as well as a 7-inch 1024x600p display, DLNA support, Wi-Fi and HDMI output for TV viewing pleasures. We said above that there will be two models but we have just found out that there could be three sub-models called the S7-601u, S7-602u and S7-601w. There is no release date or prices yet for the new MediaPad 7 Vogue tablets, we will let you know as soon as possible when we here more.